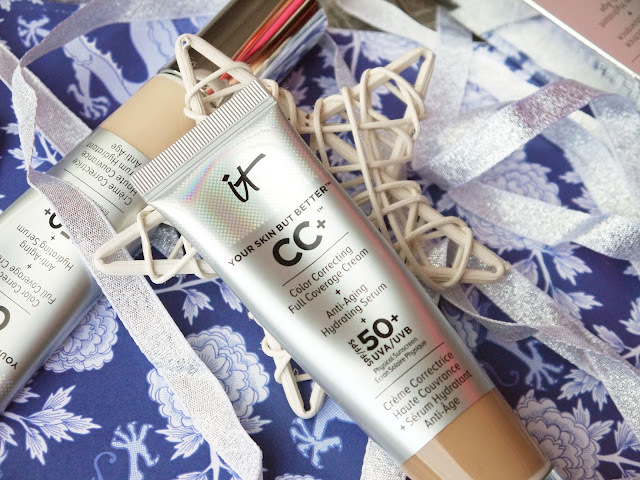 Not to get all Love Island circa 2017 on you, but the IT Cosmetics CC +cream* is 100% my type on paper. 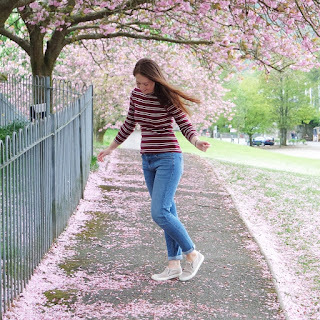 Promising 'your skin but better' thanks to high quality, complexion perfecting ingredients and a formula partly developed by plastic surgeons, it was easy for me to see why this cream caused such a splash in the beauty community. What drew me in was the idea that the cream isn't just a cover up, but a product to really benefit the skin. The pigment and colour correctors are held in a hydrating serum base with an SPF50 to protect from dryness and damage, keeping it looking and feeling healthy. IT Cosmetics describe it as 'your only step! ', replacing a full routine of moisturiser, SPF, primer and base, and while I still prefer to use an SPF under this for full days outdoors, I do agree that it's a quick all-in-one product that works well for speedy makeup or travel. Even the flexible tube and built-in pump make it ideal for throwing in your bag without a worry. Now, let's talk about why we're only a perfect match on paper. I have dry, blemished skin, and I love quick, natural glowy makeup. A great match, right? Not quite. My main issue lies with application, and I'm aware that it could be my Sahara-like skin rather than the cream, but they just don't mesh well together and blending takes quite a bit of work. IT Cosmetics recommend using a brush, but I found it seemed to move the product around and leave it sat on my skin with some streaking. I prefer the finish a beauty sponge gives, but it does get soaked up more than my other bases, which isn't ideal when it retails for £30! Despite being moisturising, the cream looks almost powdery on first application, but as the day goes on I like it more and more. In fact, this is where I did start to agree with the 'your skin but better' claims. 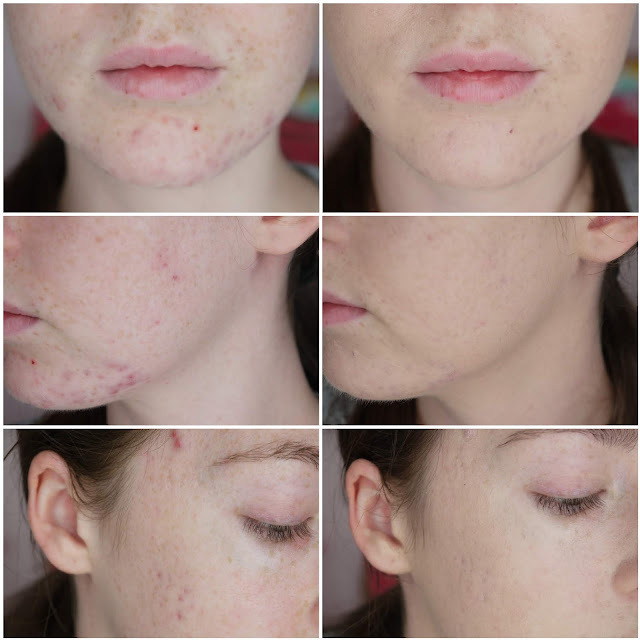 I was eager to see how the full coverage and colour correcting claims fared against my infamous acne scars, and the cream's performance pleasantly surprised me. While no base can completely cover the texture and pigmentation, I liked that the illuminated finish of this CC cream deflected the light and diffused the blemishes. 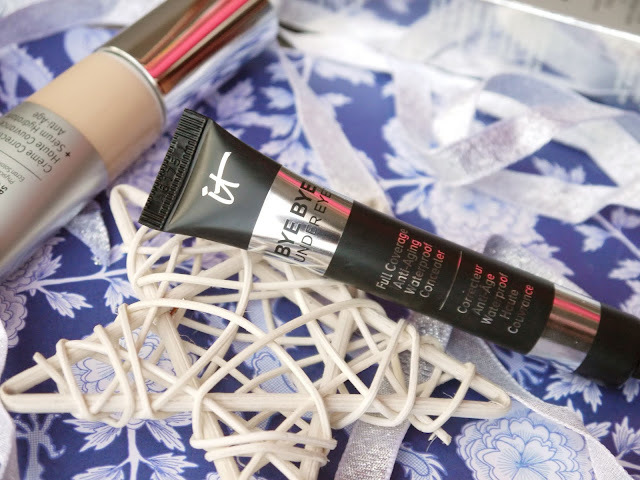 To boost the coverage, I added some of their Bye Bye Under Eye concealer*, a super thick cream that works best for me when dabbed on in the tiniest amounts, too much and it remains sticky and takes off the CC cream. Again, this is formulated to flatter and benefit, so it moves with the skin and gives a brightened, hydrated finish to the under eye that does settle a tad on me but doesn't cake. I have the shade Light which is oddly much paler than both the Light and Fair CC creams. It would be great to see the shade range for both products expand, as they currently offer just 6 or 7 and therefore not fully inclusive. The thing I liked most about these products is that I didn't have to sacrifice coverage for finish. 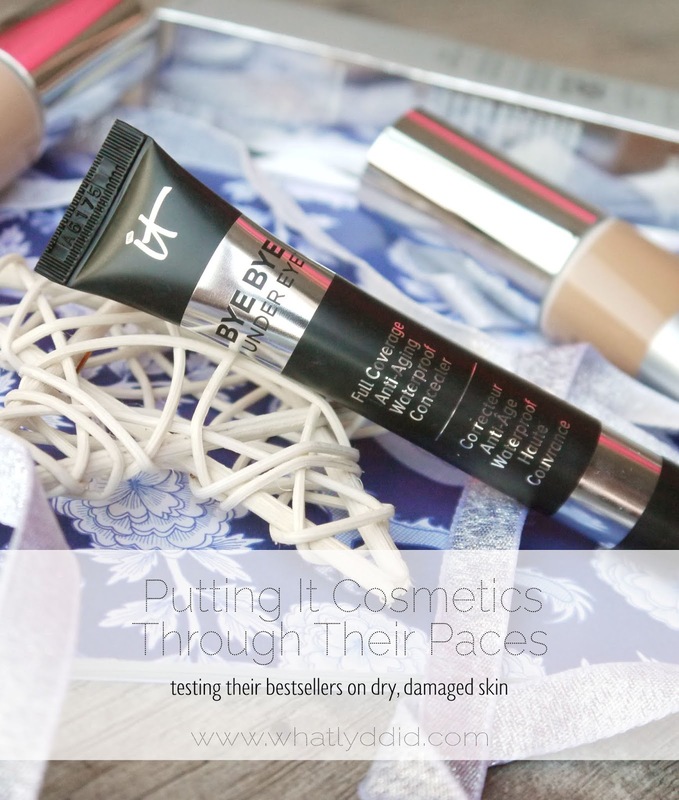 Ordinarily, the higher the coverage and thicker the product, the drier it is on my skin. 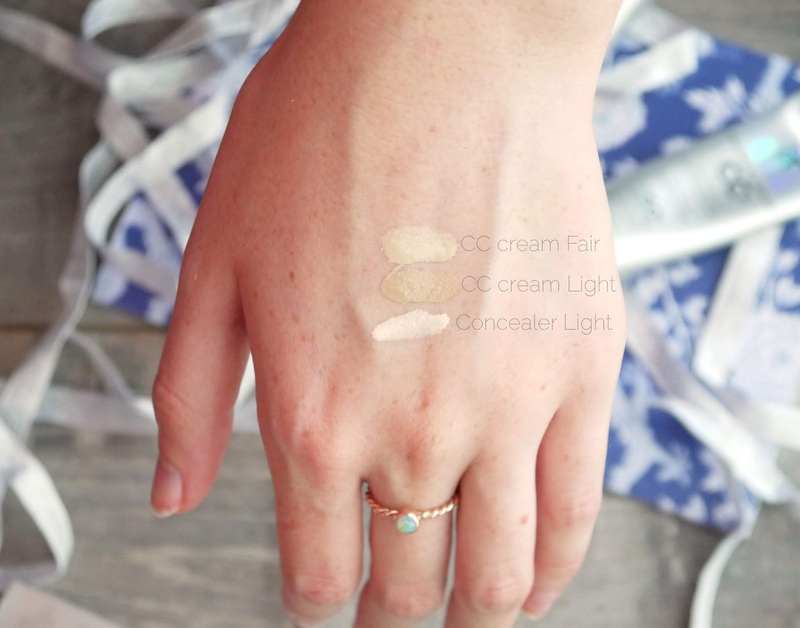 I really enjoy how well they wear on my skin, even preferring the CC cream at the end of the day to the start, but that initial wear and application struggle is really what holds me back from reaching for it every day or joining the rave reviewers. If your skin type is normal, and clearer than mine, then this could be the cream for you. Have you tried IT Cosmetics? *products were gifted in exchange for honest review.